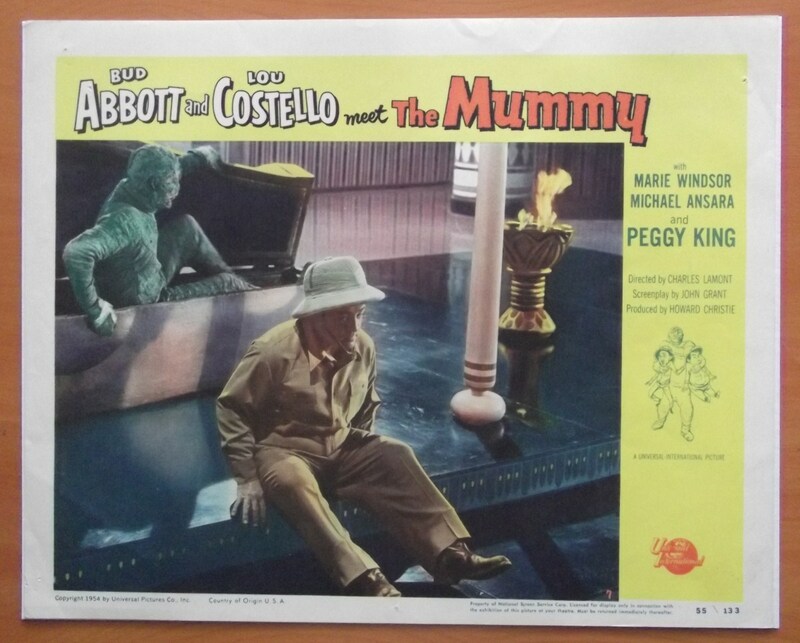 Original 1955 Lobby card from the film ' Abbott and Costello Meet the Mummy ' starring Bud Abbott, Lou Costello and Eddie Albert. 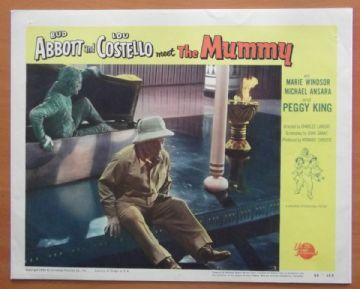 The Lobby Card is in Very Good-Fine condition and measures 11" x 14". It has minor border pinholes.